Minocqua lakes (School House Boat Landing, Channel – Minocqua Thoroughfare, and Customer Pick up) have no fee. Minocqua Lakeside offers the fast and fun Glastron Bowrider GT 180, with a 150HP Mercury Command Thrust 4-Stroke outboard, propped and ready for water skiing, available for rent. 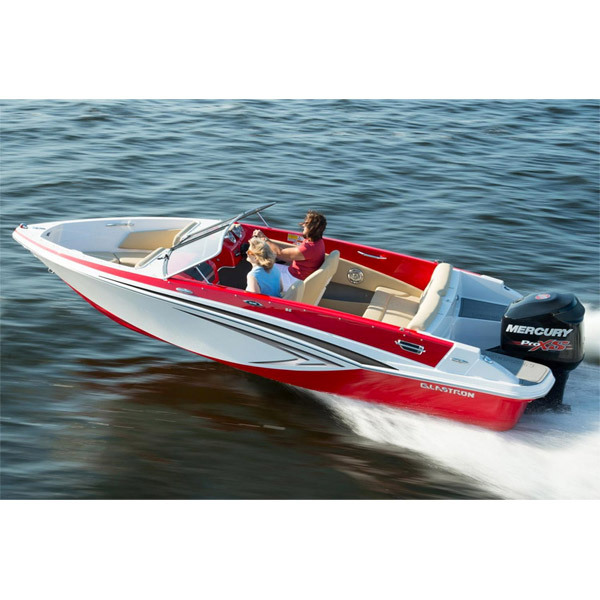 The Glastron Bowrider GT 180 delivers all the style you demand, and a ride that is amazingly smooth. The Mercury Command Thrust 4-stroke is very ECO friendly offering extremely low emissions along with an awesome fuel efficient experience. Minocqua Lakeside offers our customers the option to either pick up their rental or we can deliver it to you! Anything within in our fleet can be delivered to the surrounding Minocqua area at the customer’s request and the first five miles of a round-trip delivery are free! We can also deliver your boat rental to a surrounding lake. Minocqua Lakeside offers FREE delivery to most of the boat landings located on the Minocqua Chain of Lakes. THIS BOAT IS FAST – REACHING SPEEDS OF 50+MPH! A decked out interior is loaded with standard features. You’ll be able to fit the whole family on board for a day of waterskiing, fishing, tubing, or just cruising around the lake. Please note that our Glastron GT180 (DOES NOT)come with a trolling motor. No fuel injected engine has more experience, testing, or success under its belt than Mercury Command Thrust Four Stroke. It’s not surprising that Mercury repeatedly leads every fuel injected category including power, fuel efficiency, reliability, and versatility. It all adds up to a complete line of power that delivers more, and delivers it better. Mercury remains the best value on the water and a top choice of boaters. Lakeside Rentals & Storage LLC with assess a $195.00 Pet Fee for all customers who choose to have a dog on any and all of our rental units.